As far back as 1994, Dr. Harlan Krumholz of the Department of Cardiovascular Medicine at Yale University reported that older people with low cholesterol died TWICE AS OFTEN from a heart attack as those with high cholesterol. While this finding sparked debate due to being inconsistent with the belief that high cholesterol levels lead to atherosclerosis, there are now several studies that challenge the lipid hypothesis of heart disease. In fact, a Medline database search revealed 11 studies that concluded high cholesterol did not predict all-cause mortality in older adults (about 90% of all cardiovascular disease occurs in people over the age of 60). Even better, in 6 of the 11 studies, researchers observed an inverse relationship between all-cause mortality and high total cholesterol or LDL (bad) cholesterol OR BOTH. Other studies have noted that having low triglycerides and low HDL (good) cholesterol levels are also tied to an increased mortality rate. So how does high cholesterol improve longevity? 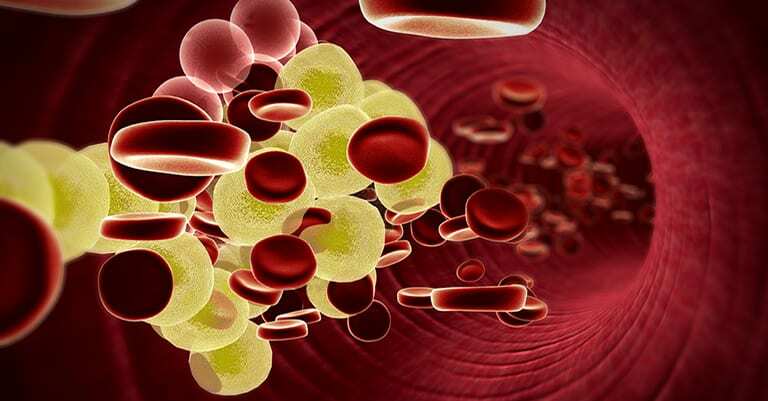 It appears that high cholesterol helps improve the immune system, protecting us from infections. In 19 large-scale studies including 63,000 deaths, a research group from the University of Minnesota, Division of Epidemiology reported that low cholesterol predicted an increased risk of dying from gastrointestinal and respiratory diseases. Were the patients’ low cholesterol levels caused by an infection or did having low cholesterol predispose the patients to infection? To find out, researchers followed more than 100,000 healthy subjects for 15 years. At the conclusion of the study, those who had lower cholesterol had more hospital admissions due to an infectious disease vs. those with high cholesterol. In two very large-scale studies of men infected with the HIV virus, the mortality rate in those with low cholesterol (<140) was four times higher than it was in those with high cholesterol (>240). A range of 200-240 and even higher in older women appears to be a good target for improving longevity. Other studies have found that chronic low-grade inflammation may be the real culprit when it comes to atherosclerosis. In other words, worrying about cholesterol levels may not be more important than engaging in a lifestyle aimed at reducing inflammation: get regular exercise, don’t smoke, get plenty of sleep, and eat an anti-inflammation diet, among other things.